8. 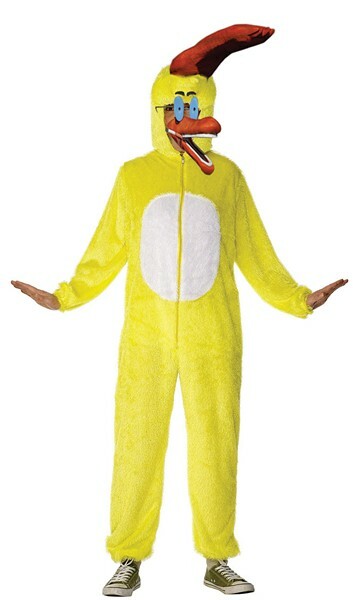 Finish Duckman cosplay costume for next week's Comic Con. 7. Install electric fence before neighbors and their annoying kids wake up. 6. Store away summer suspenders and fedora; unpack fall suspenders and fedora. 5. Recount Emmy votes for that Big Bang Theory guy (Academy of Television Arts & Sciences interns only). 4. Stake out best spot for loitering in front of local 7-Eleven. 3. Stake out secondary location in front of local Maverik, just in case. 2. Finish underground bunker to stave off Obama's Stormtroopers and be featured on HGTV's Apocalypse Chic. 1. Start planning next year's Labor Day Ocho so this doesn't happen again.